One of the very first members to join IWAG was Brown Brothers, situated in Milawa in Victoria, Australia. Brown Brothers is one of Australia’s leading family-owned wine companies, with the family making wine in Victoria for over 120 years. Founded in 1889 by John Francis Brown, it was under the guidance of his son, John Charles Brown, that Brown Brothers established its reputation as a producer willing to experiment with innovative grape varieties. The company has a number of vineyard sites in Victoria and Tasmania. As a key member of Australia’s First Families of Wine, the third and fourth generations of the family keep the tradition alive, with over 60 different wines available for tasting. 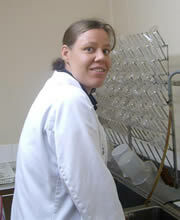 The Brown Brothers laboratory has been NATA accredited since 1991. 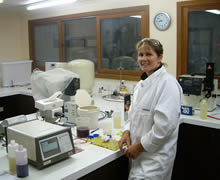 Testing ranges from wet chemistry techniques through to instrumental analysis of wine, with around 50,000 tests performed per year.